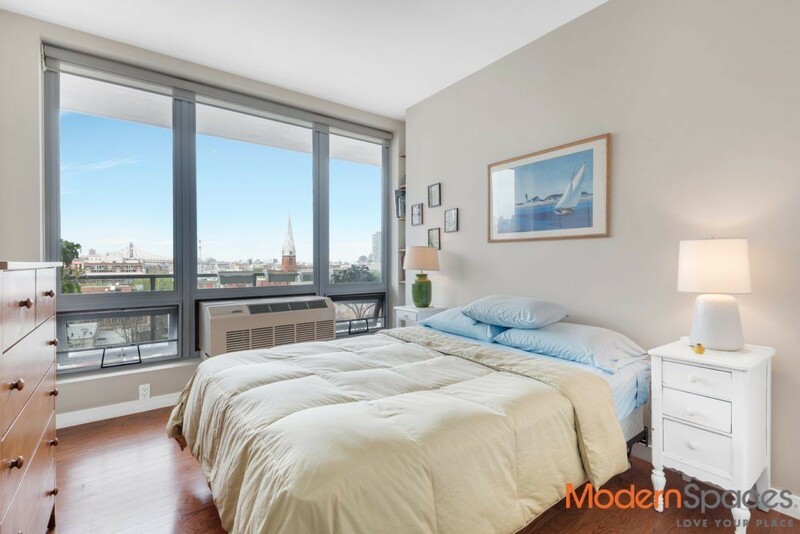 This two-bedroom condo can supposedly be converted to a three bedroom. 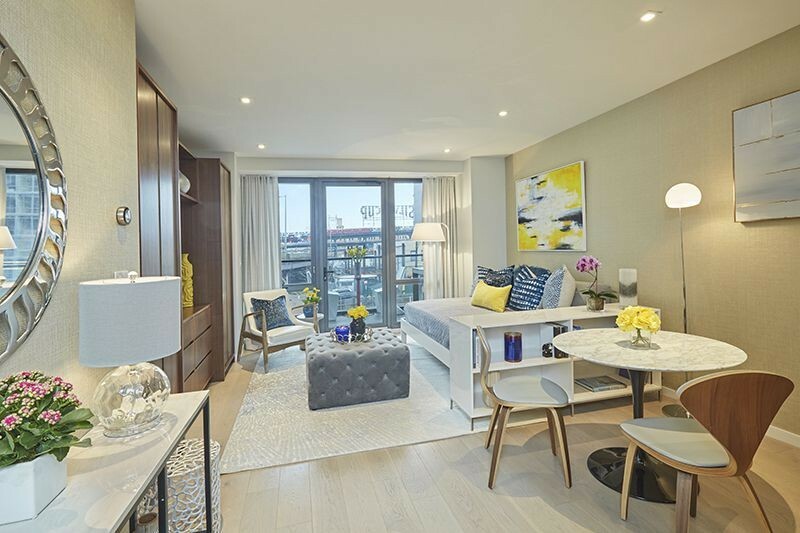 New York City topped the list of metropolitan areas with new apartments coming on the market this year, according to a report by Rent Cafe, and Long Island City took top honors for the second year in a row as being the busiest neighborhood for new developments. 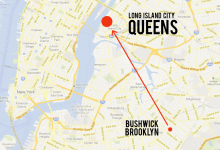 The area sits in Queens along the East River across from Midtown, Manhattan. It was once home to many factories, but after a rezoning in 2001 to allow new residential development, several new apartment towers have risen along the waterfront and elsewhere in the area, especially in Hunter’s Point. Long Island City is also now home to a growing number of arts businesses and organizations, including Silvercup Studios and MoMA’s PS1 for contemporary art. Waterfront parks include Hunter’s Point South Park and Gantry Plaza State Park, both of which have ferry stops. The E, F, G, M, N, R, W, and 7 trains service the neighborhood. 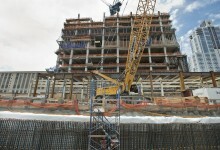 Along with the new towers has come a rise in prices for the area. The median price for a two-bedroom apartment is $1,385,000, compared to just $539,000 for the borough, according to StreetEasy. 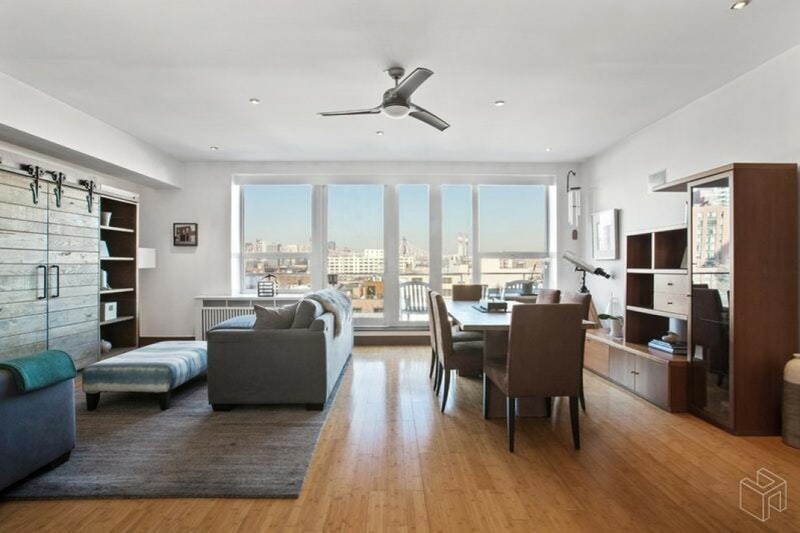 Here are five Long Island City condos on the market with open houses this weekend. 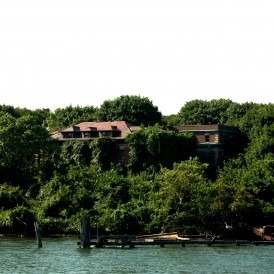 All have private outdoor spaces, tax abatements, and are located in the Hunter’s Point section. This studio, located in the Arcadia 27 building, is on the small side with 410 square feet and no discernable closet space on the floorplan, but it comes with a balcony and a basement storage space. There also are name brands galore: Grohe faucets, a Nest thermostat, Mirage wood floors, LG heating and air, Scavolini kitchen cabinets, Calacatta countertops, Toto toilet, Kohler bathtub, and appliances from Miele, Lieberr, Bertazzoni, and Bosch. It is listed for $575,000. Monthly common charges are $219; monthly taxes are $58. The open house is scheduled for Sunday, August 5th, from 1-4 p.m. 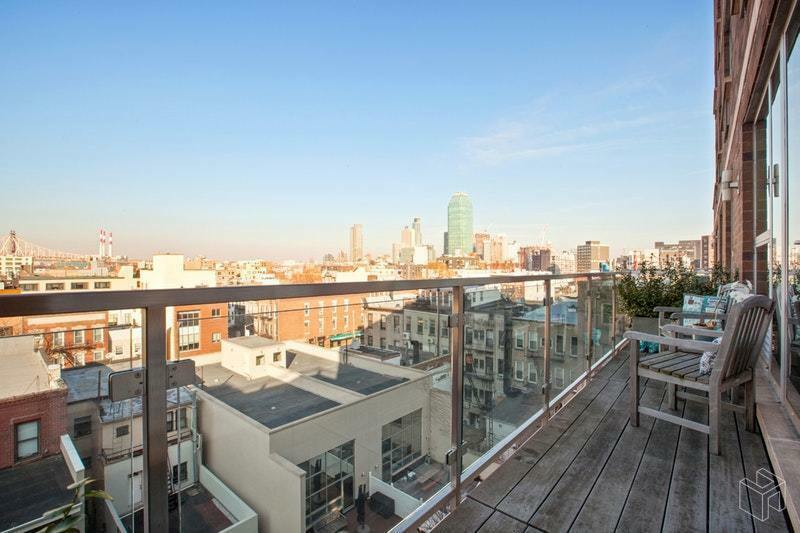 The balcony for this one bedroom is approximately 100 square feet and comes with Manhattan skyline and bridge views. There’s also a stainless steel Fisher & Paykel fridge, washer/dryer in the unit, and plenty of closet space. The pet-friendly building comes with a full-time doorman, outdoor garden with barbecues, and a gym. It’s listed for $830,000. Monthly common charges are $456; monthly taxes were not listed and are abated until 2024. The open house is scheduled for Sunday, August 5th, from noon-1 p.m. 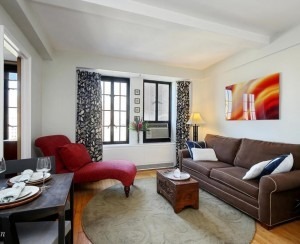 This one-bedroom apartment is in The Vista, a building that was designed using the Chinese practice of feng shui. It, too, has a balcony, and comes with a 15-year tax abatement ending in 2029. 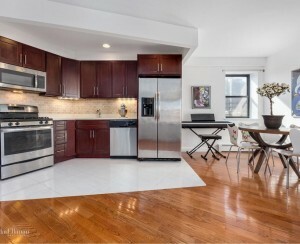 The kitchen is equipped with Bosch appliances, and the bathroom has radiant floor heating. 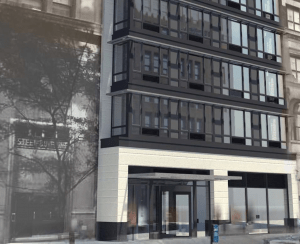 The building has a part-time doorman, bike room, and a roof deck. It is listed for $849,000. Monthly common charges are $668; monthly taxes are $13. The open house is scheduled for Sunday, August 5th, from noon-1:30 p.m. 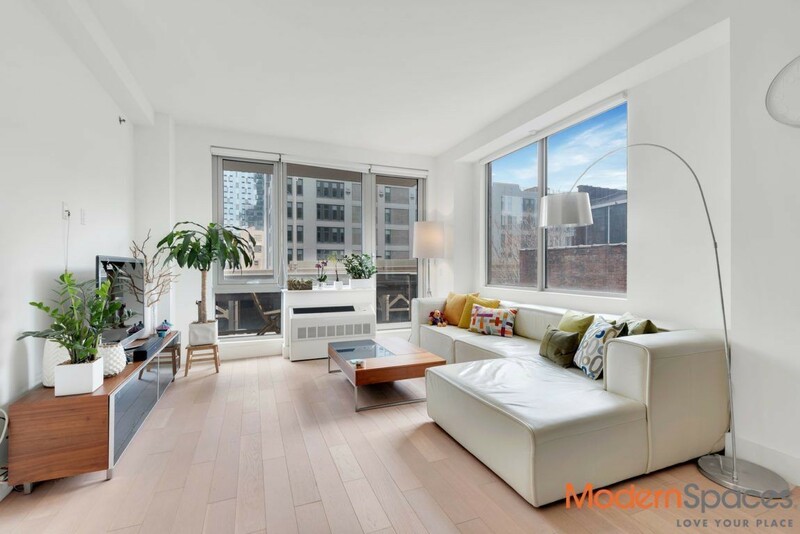 Located in The Gantry, this two bedroom, two bath gets plenty of light with its east-facing windows. The apartment also has stainless steel appliances, stone countertops, and a Miele washer/dryer. It also comes with a private rooftop cabana, complete with a gas line, running water, and electric. Building amenities include a part-time doorman, porter, parking garage, and gym. It is listed for $1,250,000. Monthly common charges are $1,049; monthly taxes are $114. The open house is scheduled for Sunday, August 5th, from noon-1:30 p.m., by appointment only. 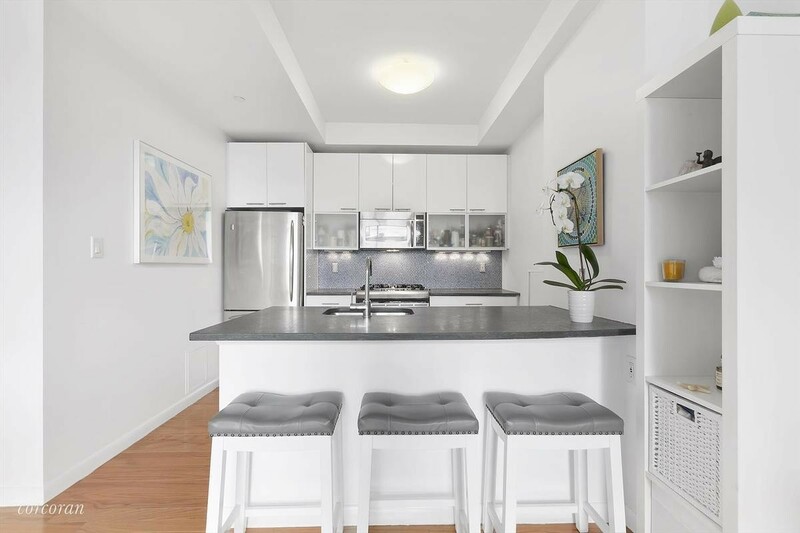 The description for this two-bedroom, two-bath apartment claims it can be converted into a three bedroom, which looking at the floorplan would mean cutting up the large living room (pictured at top). The master bedroom has a true walk-in closet, and there’s a washer/dryer in the main bathroom. It’s located in The Solarium, which claims to be Long Island City’s first green-certified condo. It’s listed for $1,499,000. Monthly common charges are $643; monthly taxes are $150. The open house is scheduled for Saturday, August 4th, from noon-1 p.m.